Curious about what kids are reading? We are! I often ask the kids at school and in the neighborhood which books they love and why. It's fun discovering what their favorite parts of a book are and what keeps them turning the page. Another great resource for the 411 is a school librarian (aka media specialist). Heather Abner, a life-long lover of great books, is a librarian for a K- 5 school just outside of Atlanta. She has front row seat (make that check-out desk) where she gathers the intel. Today, Heather shares what kids are checking out and what they'd like to see more of! 1. Hi, Heather! Please tell us a little about your students and your school. We are in suburban Atlanta, in one of the top-performing districts in the state. Our community is very active in our school system, and we have great parental support for the most part. I would say that we have a good mix of racial and socio-economic groups, with the majority being middle-class working families. 2. What was your favorite book as a kid? What did you love about it? Wow! That's a tough one, especially for a librarian who loves sooo many books. I can't narrow it to just one! When I was in primary grades, I would say Where the Wild Things Are. I loved the idea of being able to sail away and explore new places, but of course, home would still be waiting! As I got a little older, I loved Ramona Quimby, because she knew how to push the envelope just enough. Then as I neared the end of childhood, I devoured the Babysitter's Club. They were so independent, and that was really appealing to me! 3. Have you noticed any genre trends in your readers? If so, describe the trend(s). I think the biggest trend is that boys and girls differ a lot. Our boys tend to head to non-fiction and graphic novels, while the girls almost always go for fiction chapter books or fairy tales. That seems a bit stereotypical, but it is pretty true to form. 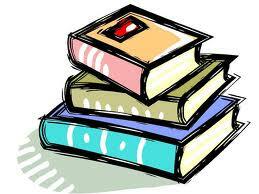 When the boys do go to fiction, it is usually science fiction or sports novels. 4. Which books are checked out most frequently by your older readers (3rd – 5th graders)? I have noticed that our readers tend to mimic what is trendy in the adult or young adult world. For example, I had a lot of requests for vampires a few years ago. Right now, zombies are hot, and it isn't really something that we have, except a few graphic novels. Disaster stories are really a current hit, too. The I Survived series is always in high demand, along with anything related to the Titanic. Ghost stories are also big, in either fiction or non-fiction, but especially the non-fiction ones. 5. If you had unlimited funds, which books would you go out and buy for your media center right now? Hmmm. We need to update our non-fiction section. With Common Core, they are a big need, but also because it is difficult to keep non-fiction current. When students check out sports, for example, they don't want to read about athletes from 20 years ago or see really dated pictures. That is a big challenge. 6. What do you wish Middle Grade authors knew or paid attention to? I think most do a great job, but sometimes I think they have a hard time staying relevant to the times. Times have changed since we were young, and kids notice if you aren't current. I recently read a new release written by an author who I know is in her seventies and is an excellent author from my childhood. It was very distracting, even to me, because the cultural references and terminology were very dated... And this was a new release. I kept wondering if she had used a group of test readers, or anything like that. It would have helped! Another thing that I wish more authors knew is, sometimes we just need realistic fiction. I know that vampires and supernatural are hot. And yes, I just stated earlier that they are big draws, but so many authors jump on the bandwagon for what's "hot," and our good old realistic fiction gets forgotten. Trends come and go, but the good stuff sticks around over time. 7. What book is on your nightstand right now? Well, it is summer, and I read 7-8 books per week. I am currently doing a re-read (for the 9th or 10th time) of Sarah Dessen's The Truth About Forever. It is one of my faves of all time, right up there with Pride and Prejudice and To Kill A Mockingbird. 8. One last question - If you listen to music while reading, what's your favorite song on your playlist? I like to listen to softer stuff while reading so I don't get distracted. Right now my favorite is Just Give Me a Reason by Pink and Nate Reuss. Thanks, Heather! I love that song too. The lyrics are beautiful. (It's in the stars. It's been written in the scars of our hearts. We're not broken just bent. And we can learn to love again.) And thank you for all the wonderful insights on young readers. Enjoy your summer reading, everyone! Along with disaster and Titanic books, I've noticed that my 5th graders will devour anything and everything related to WWII... I have a few biographies on Hitler that never stay on the shelf longer than a day or two. Nice interview! Thanks for stopping by, Mrs. Hend Reads! That was such a sad, yet interesting time in history. Kids are so curious about it. I haven't read it yet, but I want to. So many books, so little summer! Thanks for stopping by, F.T.! Terrific insight! It gives me a lot to think about (such as, who IS that author in her 70s?! and I wish I could write about zombies!) and it's great to hear what someone surrounded by books is actually reading. Really interesting post--thanks, Heather and Dana.